We are really appreciative of the unseasonably warm temperatures we are having. 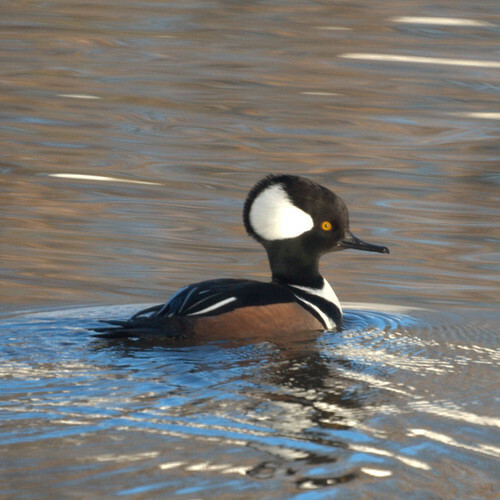 It gave us a nice opportunity to sit outside and wait for the Hooded Mergansers to come close. They still have not climbed up on our island, but Mike is still hopeful. 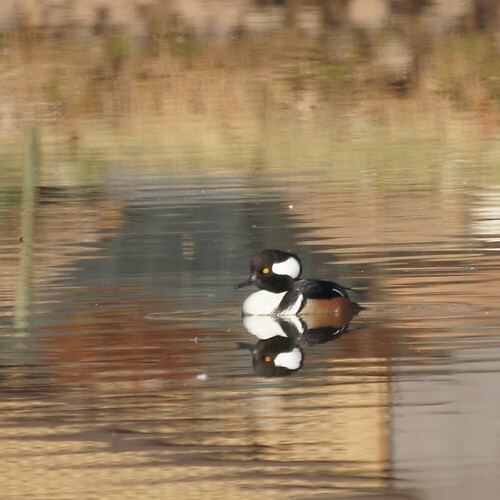 One cormorant seems to claim it everyday, though, so the Mergansers may never have a chance. Today we have two males and one female, so we hope they stay around and wait for another female to join the group.